A car is not only a luxury but it has been a necessity since a very long time, especially if you have a family. 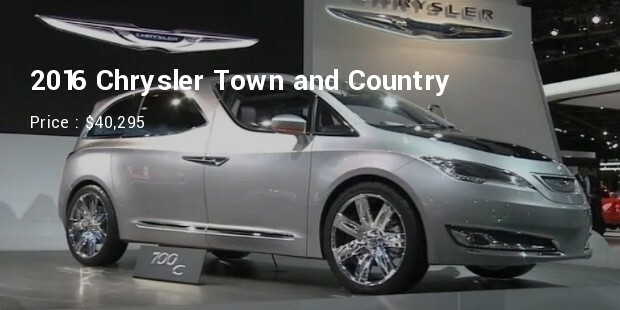 Carmakers have been bringing out various models and designs to ensure that the customer gets the best and most suitable family car. A family car is ideally supposed to be spacious and comfortable, while at the same time easy to drive and control. The family car segment has become one of the most important sectors in the automobile industry today. Let us look at the top 10 most expensive family cars available today. 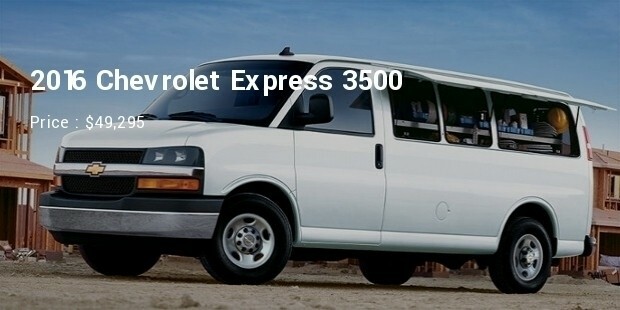 The Chevrolet Express 3500 is priced rightly at an expensive $49,295 with a fully-loaded interior. This minivan is equipped with a Duramax 6.6L V-8 engine that produces 260Hp. The engine is intercooled with turbo technology and also has ABS along with various other top-end features. 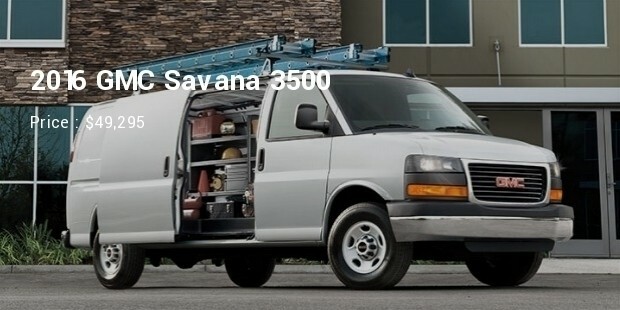 The GMC Savana 3500 is priced at $49,295 and features a 2LS Diesel with Duramax 6.6L V-8 that produces 260Hp with an intercooled turbo engine. 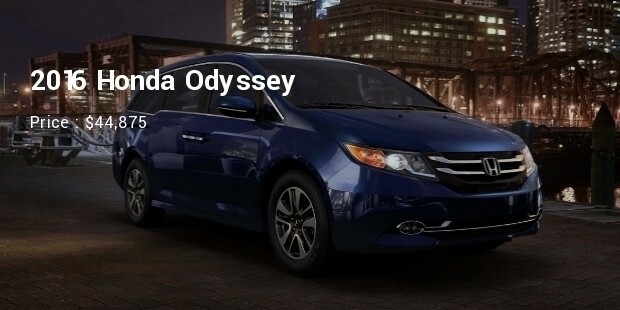 This minivan has 4-wheel ABS, multiple airbags, full air-conditioning along with cruise control and various other luxury and safety features. 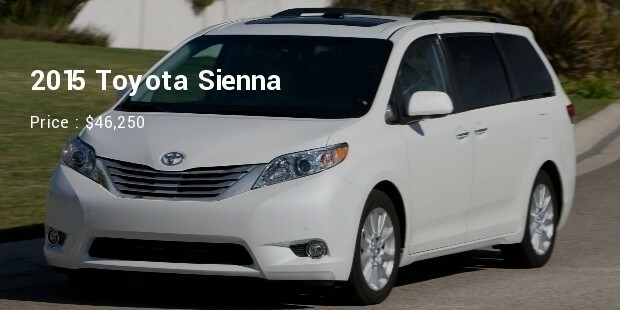 The 2015 Toyota Sienna Limited Premium 7 Passenger model is priced at around $46,250 and includes a 3.5L V-6 266Hp engine. It has 6-speed automatic transmission with overdrive, integrated navigation system, 4-wheel ABS, multiple airbags, automatic climate control, etc. 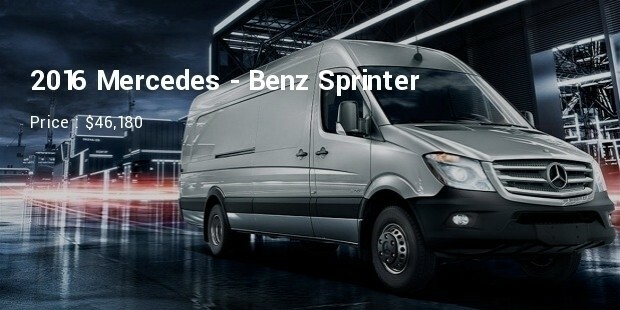 The 2015 Mercedes-Benz Sprinter 2500 High Roof is priced at $46,180 and features a BlueTEC 2.1L, I-4 161Hp-producing intercooled turbo engine. It also features advanced 7-speed automatic transmission with overdrive as well as effective safety features such as 4-wheel ABS, automatic air-conditioning, power windows, etc along with many other advanced features. The 2016 Honda Odyssey Touring Elite is priced at $44,875 and features a 3.5L, V-6 engine with 248Hp power production. This touring family vehicle also has 6-speed automatic transmission with overdrive as well as 4-wheel ABS, an integrated navigation system, seat-mounted side-airbags, automatic climate control and other advanced features also. The 2016 Ford Transit-350 XLT is priced at $43,995 and comes with an EcoBoost 3.5L, V-6 engine with a 310Hp capacity including a twin-turbo cooling. This family vehicle also offers 6-speed automatic transmission with overdrive, 4-wheel ABS, side-mounted airbags, cruise control, traction control among other modern safety features. 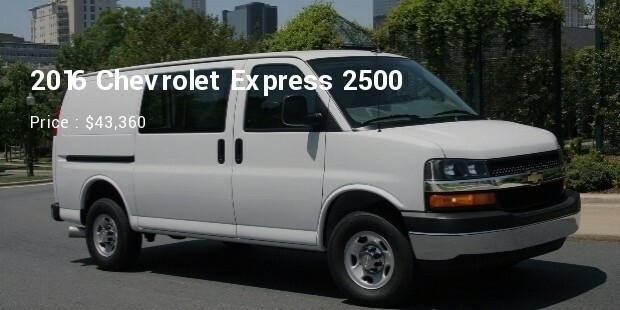 The 2016 Chevrolet Express 2500 Diesel is priced at $43,360 and features a Duramax 6.6L, V-8 engine that has a 260Hp capacity with intercooled turbo. It also features a 6-speed automatic transmission with overdrive, 4-wheel ABS, full air-conditioning, driveline traction control, power windows, etc among many other advanced features. 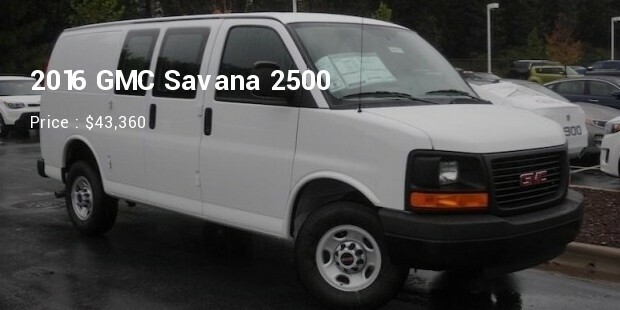 The 2016 GMC Savana 2500 Diesel is priced at $43,360 and features a Duramax 6.6L V-8 intercooled turbo engine with a 260Hp capacity. This family vehicle also comes with 6-speed automatic transmission with overdrive, 4-wheel ABS, air conditioning, airbag occupancy sensor, power windows, driveline traction control, etc. 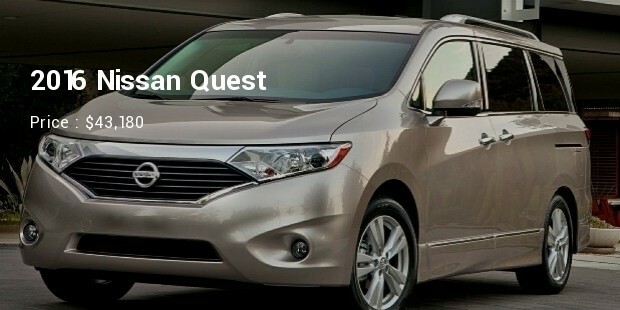 The 2016 Nissan Quest Platinum is priced at $43,180 and features VQ 3.5L V-6 engine with a capacity of around 260Hp. This car also comes with a 2-speed advanced Xtronic CVT transmission with overdrive. This family vehicle also comes with 4-wheel ABS, integrated navigation system, cruise control, drivelie traction control and many other features. The 2016 Chrysler Town & Country Limited Platinum edition is priced at $40,295. This car comes with 3.6L, V-6 engine with a capacity of around 283Hp. It also has 6-speed automatic transmission with overdrive, 4-wheel ABS, advanced navigation system, overhead airbags, automatic climate control, etc among other features. These cars are the top most expensive family cars available today. 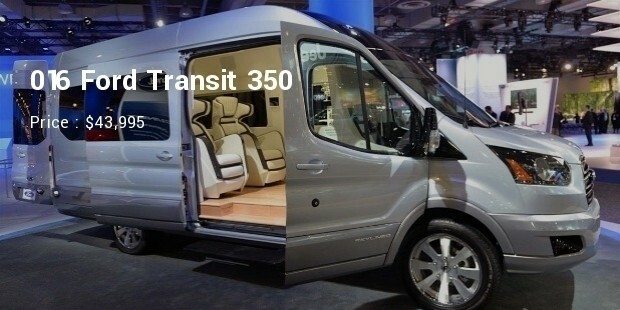 The high price of these family transporters is justified if you consider the vast variety of enhanced and advanced safety features as well as other features that are included in these.